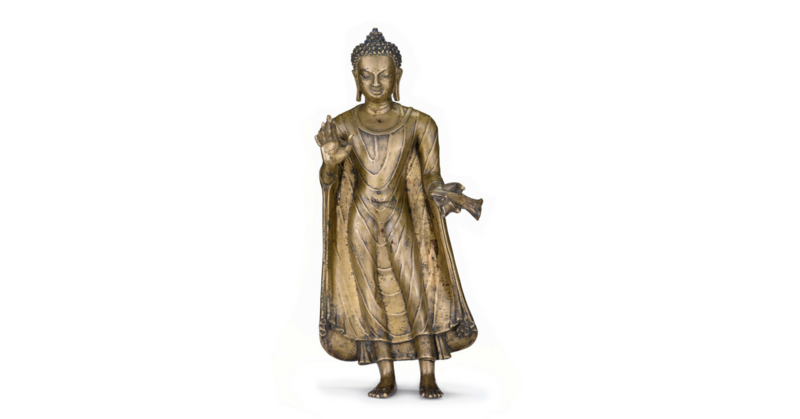 This exhibition, drawn from the collections of the Los Angeles County Museum of Art, presents an international survey of Buddhist art. It begins with objects associated with Buddhism’s origins in India and follows its spread through Southeast Asia, the Himalayas, and East Asia. Comprised of some 150 rare and beautiful works of art in a variety of media, the exhibition introduces important aspects of Buddhist thought and ritual practices. Organized both geographically and thematically, the exhibition is designed to engage both general and specialist audiences. It will explore the life story of the Buddha, the role of the bodhisattva, Buddhist cosmology, and key concepts that have found their way into popular culture such as dharma, karma, mantra, and nirvana. This exhibition is organized by the Los Angeles County Museum of Art.